It’s easy to be upbeat about life, about Savannah, about music, about the future, and about the world’s everyday wonders when you’re talking to Brandy Kennedy Koch and Ryan Koch. 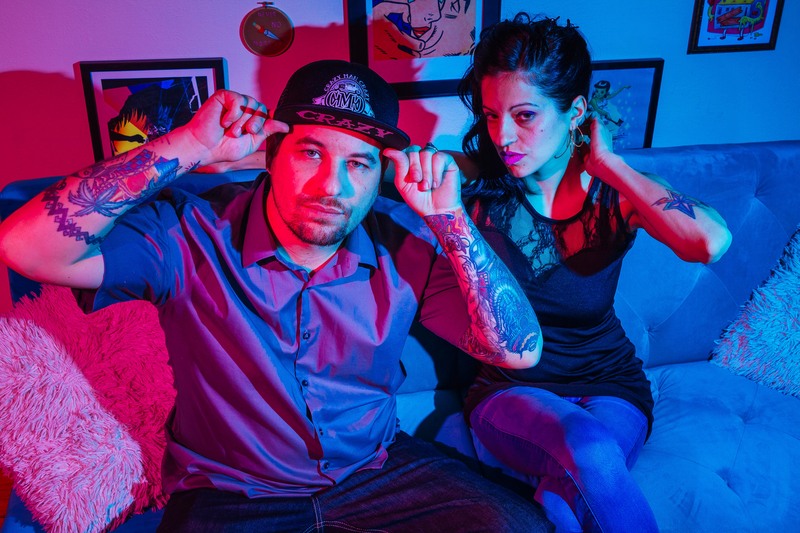 Ryan and Brandy have been involved in many creative endeavors in their 16 years together, and now they’re taking the biggest leap yet with the launch of The Kennedy Koch Show. TKKS has three components — an online TV show, a podcast, and a regular Wednesday night show on the community radio station WRUU. Ryan and Brandy are now seeking community and subscriber support on Patreon. Click on through to find out more and begin accessing content. You should also go ahead and follow The Kennedy Koch Show on Facebook too. Earlier this year, I reached out to Ryan after he had been pushed out of his radio gig at 106.1, where he had done amazing work over the years promoting the Savannah music scene. It’s an uphill climb supporting local artists in the corporate world of commercial radio, but Ryan succeeded week after week. When I first got in touch, Ryan wasn’t ready to talk about the future, but the couple regrouped and moved on fast with the launch of the multi-faceted TKKS, over which they will have full creative control. For two years, Koch hosted Underexposed for no pay. Eventually, the station hired him for their promotions team, and Koch became a face of Rock 106.1. Between Night Shift and Underexposed, the DJ was sharing local and regional acts, hyping up concerts from touring acts and hometown heroes, and encouraging listeners to get involved in their community. Koch’s approach has always had an old-school feel, trademarked by his genuine love and support for the scene. Spinning the FM dial in 2018 is a vastly different experience than it was 20 years ago, and for an anti-corporate community builder with a passion for grassroots efforts and DIY, Koch had to make difficult choices throughout his time on-air. Now, Brandy and Ryan can serve the community in many more ways and approach projects as creatively and as passionately as they desire. The Kennedy Koch Show will air on the online TV channel Live Like Locals Savannah. The episodes now in production will focus on unique businesses and people that “are the backbone of Savannah,” as Ryan told me when I met with Brandy and him recently at The Sentient Bean. The monthly podcasts will be broad-ranging — among other things, you’ll find interviews with musicians and others, discussions about hot topics of the day, and deep dives into more obscure subjects. The ongoing WRUU program will continue to highlight music and the arts in the Savannah area. “This place has a specialness to it,” Ryan said as he talked about the way Savannah has lured and welcomed Brandy and him. Here at hissing lawns, we’re excited to see where Brandy and Ryan’s passion and talents take them — and to see how they inspire others.